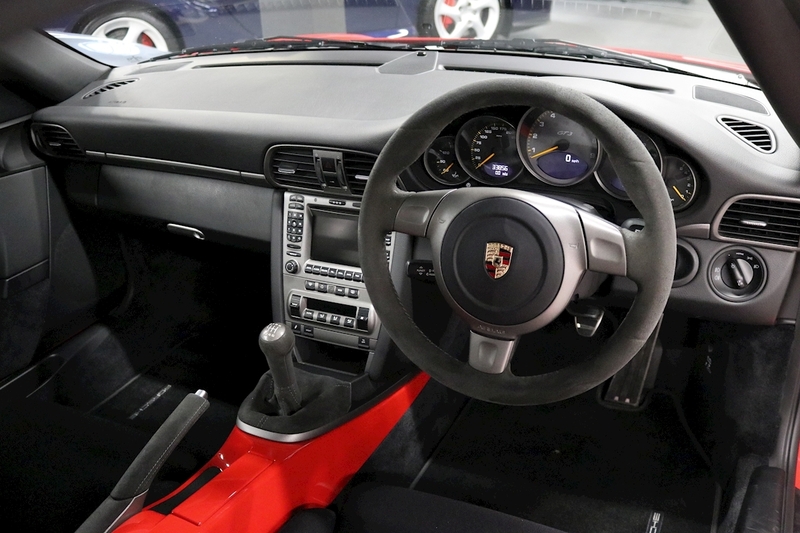 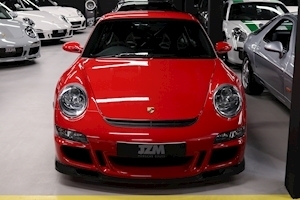 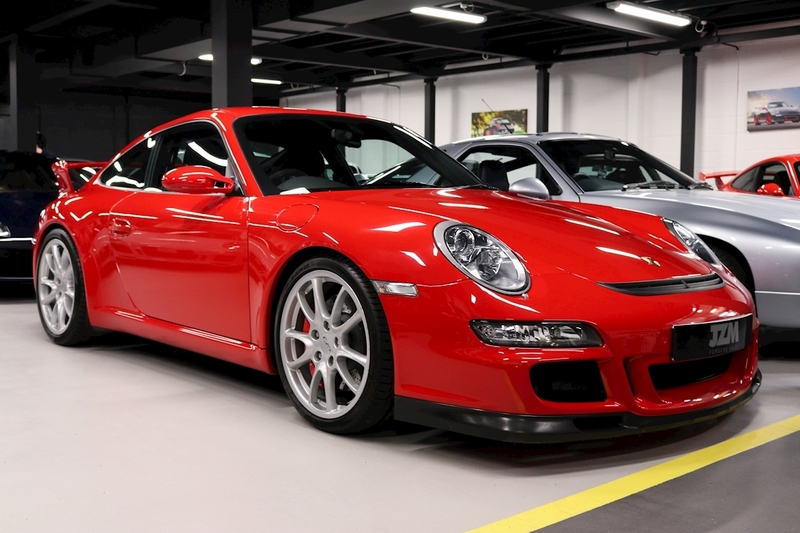 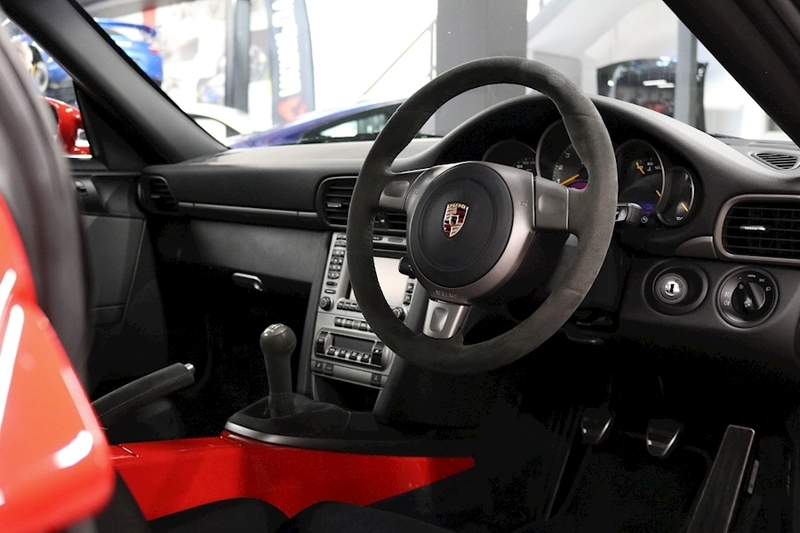 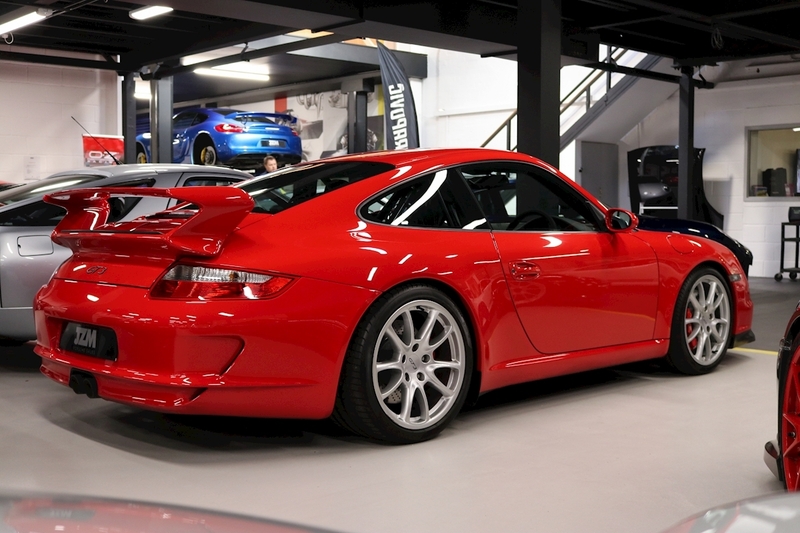 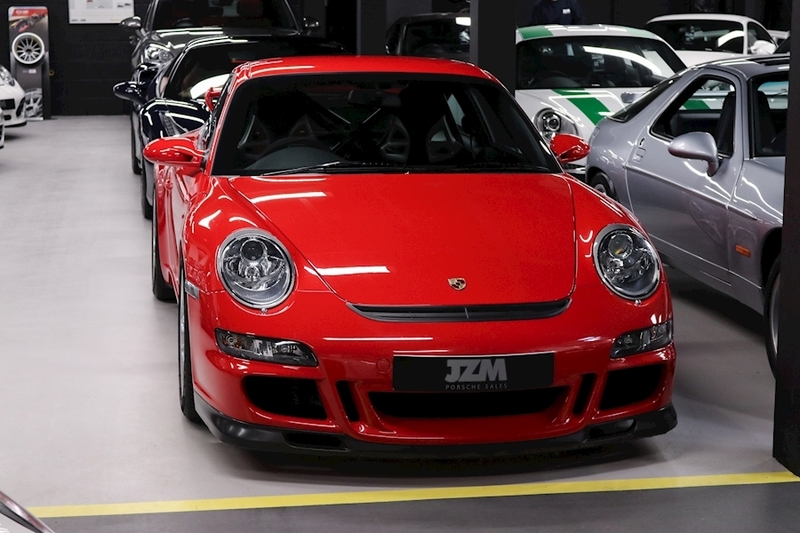 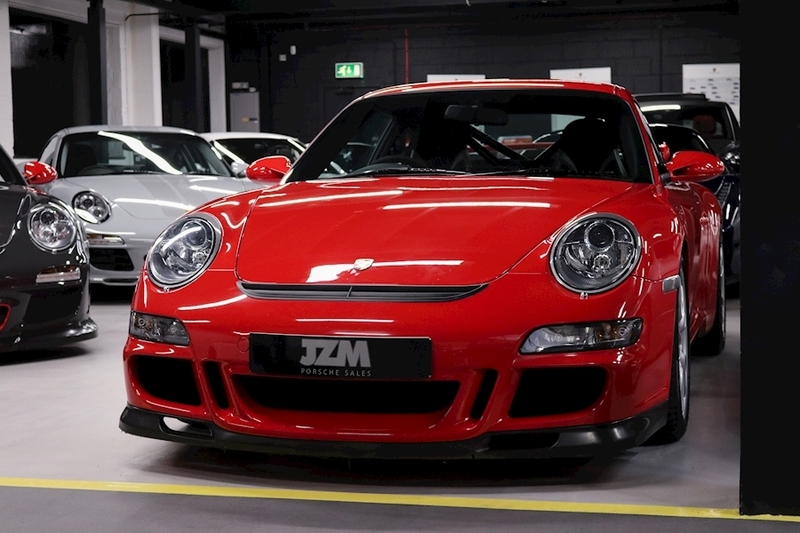 997 GT3’s In this condition are becoming increasingly more and more difficult to source at present, hence JZM are delighted to offer this GT3 Club Sport with only 33,856 miles from new. 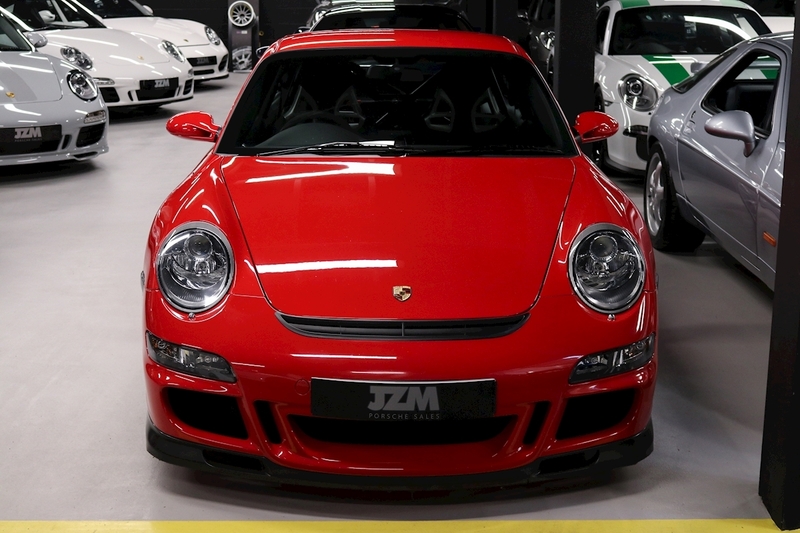 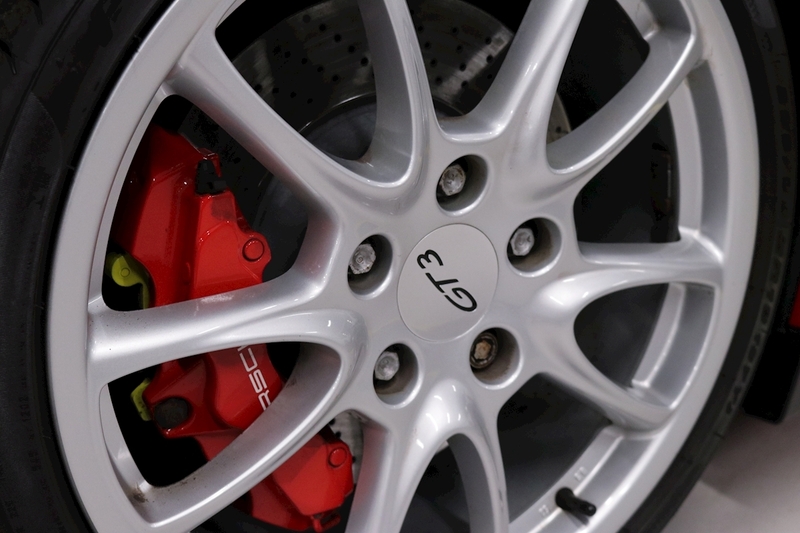 As always this vehicle has been rigorously inspected by our onsite team of technicians and the vehicle has never been subjected to any high rev ranges recorded on the car's ECU allowing the next owner to really enjoy this GT3 with the peace of mind you would expect from JZM. 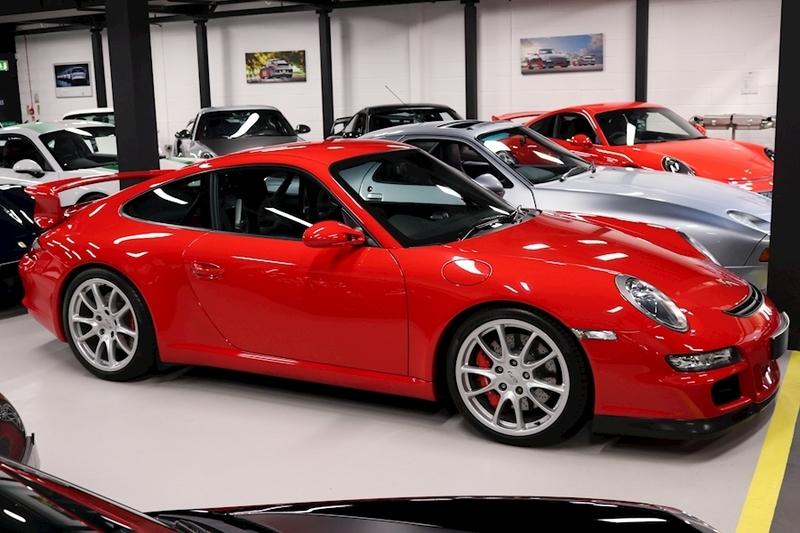 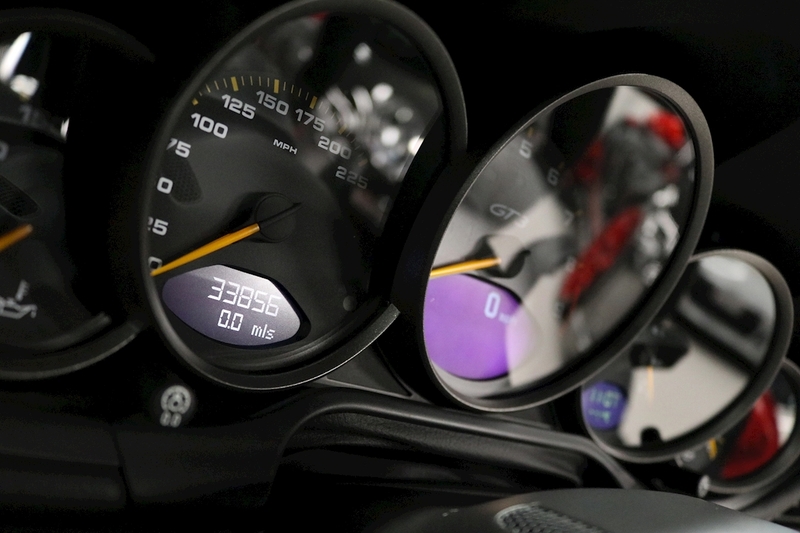 Just perfect.........A truly exceptional car waiting to be driven and enjoyed. 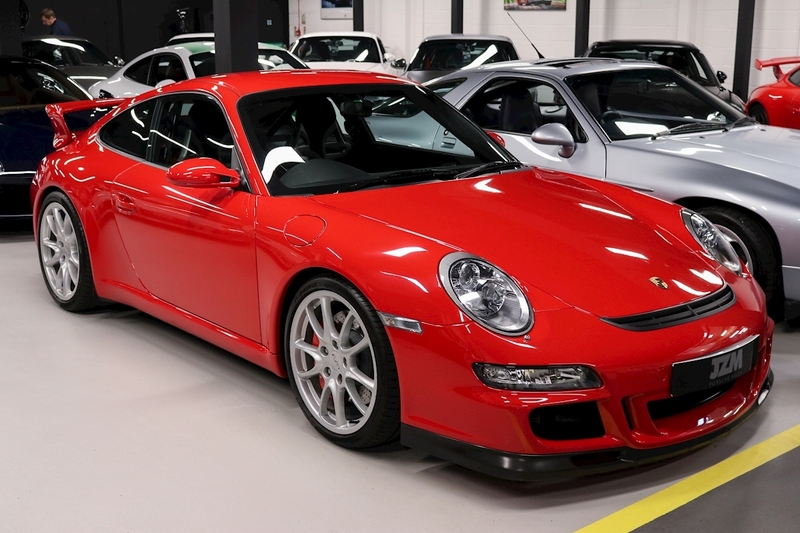 997 Gen I GT3 Clubsport Originally Supplied By Porsche Centre Mid-Sussex First Registered March 2007 Full Service History Porsche and Specialist’s Guards Red Black Nomex Interior Clubsport Package PCM2 Navigation Module PCM2 Radio Module on board computer Carrera GT Bucket Seats 19" GT3 Wheels Silver Alloys Xenon Lighting System Alcantara Roof Lining PASM Porsche Active Suspension Management Black Seat Belts Air Conditioning Windscreen Tinted Upper Part Darker Coloured 6 Point Safety Harness Preparation For CD Auto-Changer "Vehicle Tracking System" Preparation Black-Coloured Instrument Dials Door Mirrors Electrically Adjustable and Heated Headlamp Washer Cd Storage Unit Steering Wheel Airbag Module in Leather Rear Section Of Centre Console Painted Steering Wheel In Alcantara.